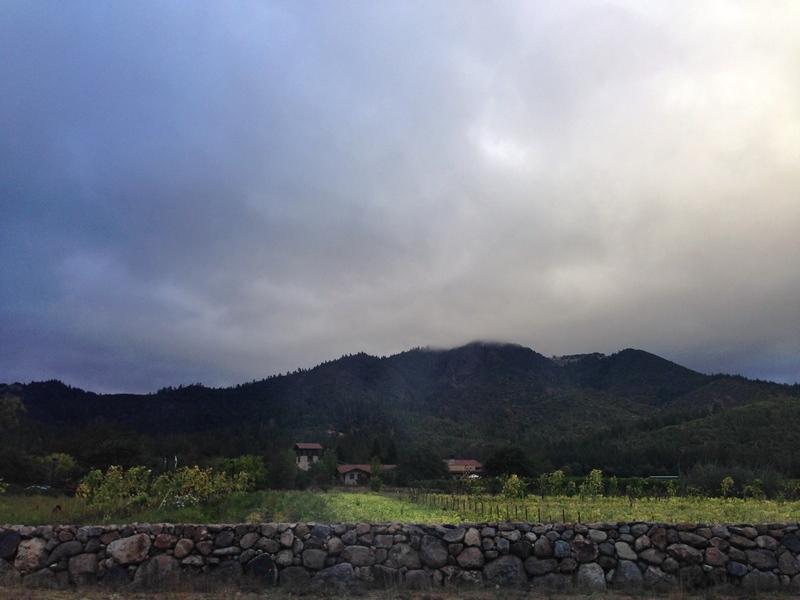 For every hour I put into researching my recent trip to Napa, I only spent 10 minutes thinking about Sonoma. This is the same of previous trips where I’ve stayed in both regions, and even though I know I shouldn’t do this, it’s so easy to be distracted by all that Napa has to offer. I have been to the Napa Valley 6 times and 4 of the 6 times, I’ve added a visit to the Sonoma Valley onto the trip. All 4 of these times, I’ve spent less than 1/3 of the duration in wine country on the Sonoma side and each time I return from a these trips, I have the same feeling that I should have spent more time to become acquainted with the Sonoma region. It was with eager anticipation, but not a lot of preparation that my friends and I drove the short drive west to continue our trip from Napa to Sonoma. 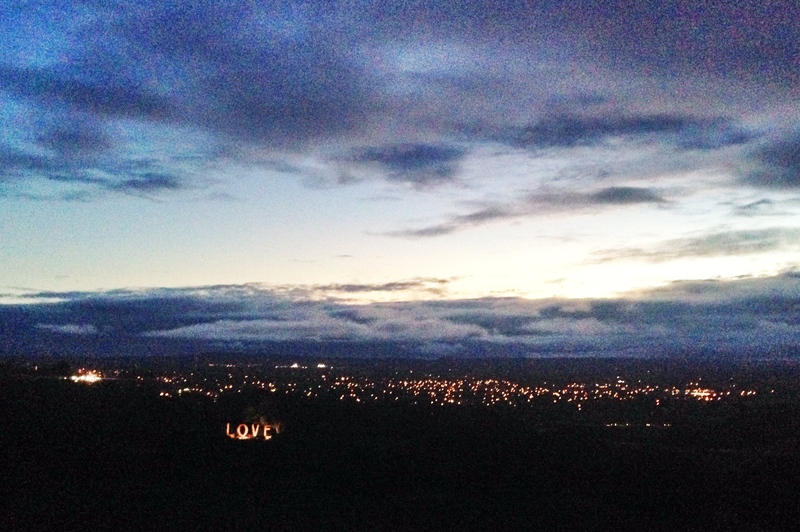 As we drove down Hwy 12 that links Napa to Sonoma, we noticed an opulent mansion sitting atop a tiny hill. 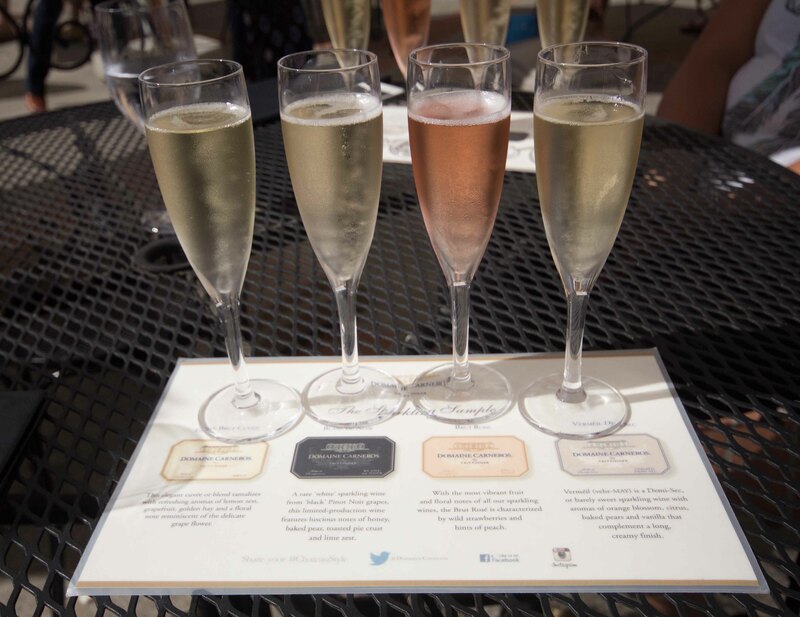 A quick search revealed it was Domaine Carneros, founded by the Taittinger family. Seeing as Taittinger is my favourite champagne, we made a quick (albeit very dangerous) u-turn on the highway to head back to the winery. 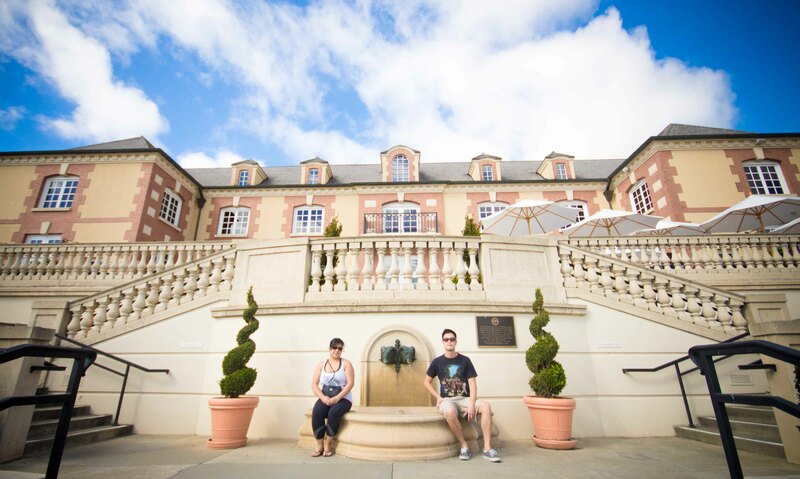 My friends looking stately in front of the luxurious Domaine Carneros. We laughed that we were using a different set of adjectives not normally in our daily vocabulary to describe our experience. It was well before noon, but of course we had to do a tasting on their warm and sunny patio. Again, we were poured all of our sampling at once, which was a bit unfortunate because in the sun, the tastings didn’t stay chilled for long. Feeling tipsy from our morning tasting, we decided it was important to get food into our stomachs. Lucky for us the Fremont Diner, which was on my “list”, was just down the road. 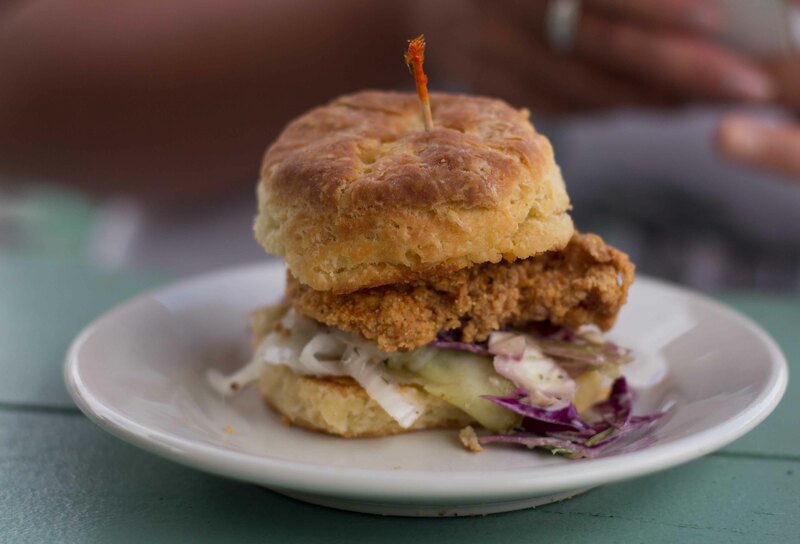 It was my first revisit to the tastes of the south after being in the South a few months back. 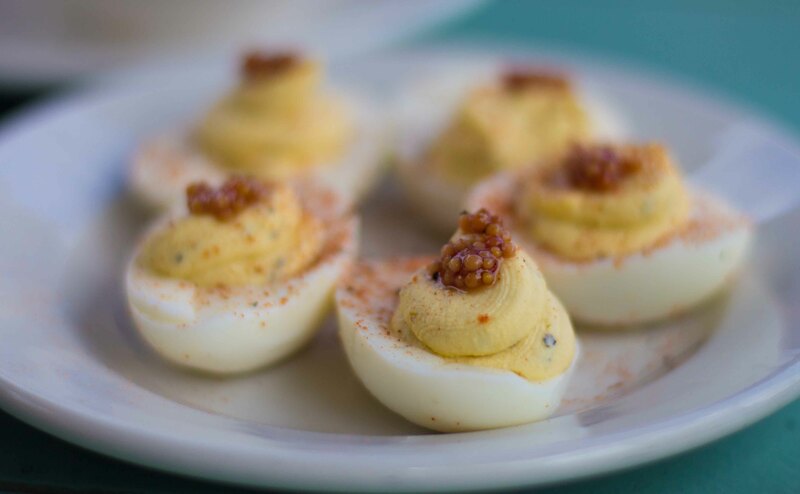 Deviled eggs with pickled mustard seed and chicken spices. 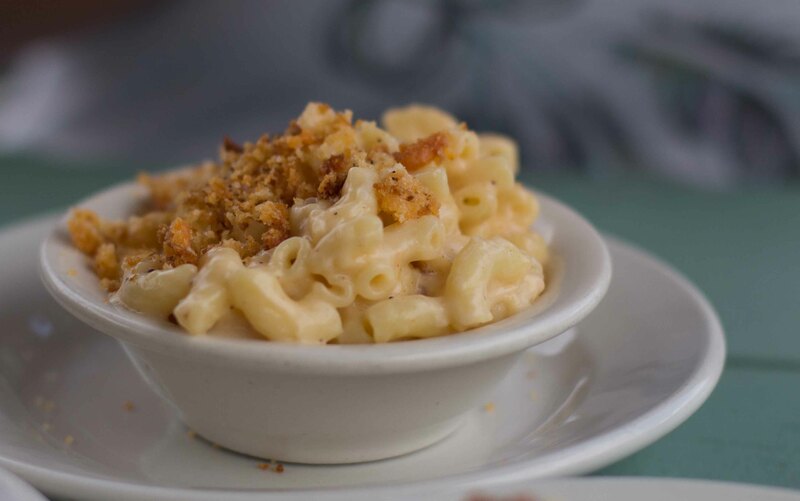 Mac and cheese with Vella cheddar and asagio was creamy comforting. 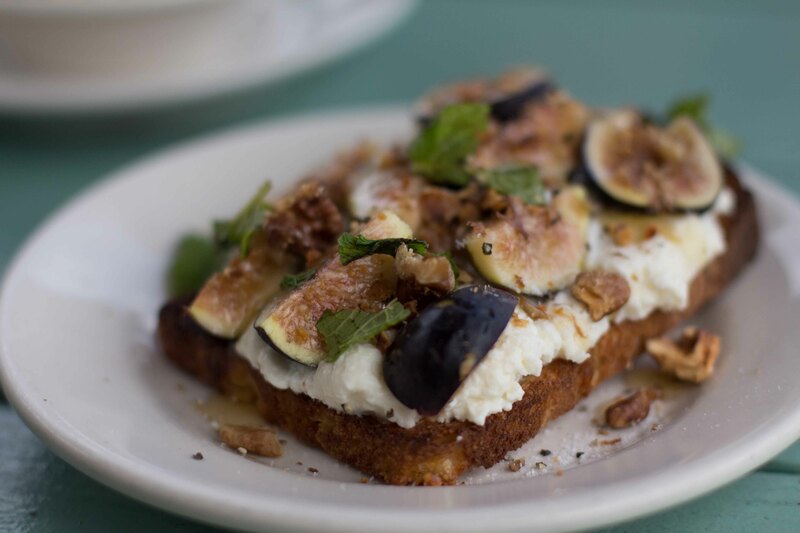 Belllwether ricotta with figs and walnuts on toast. I am a sucker for ricotta on toast and am never disappointed when I order it. Pimento cheese with celery, sourdough and Fremont pickles. 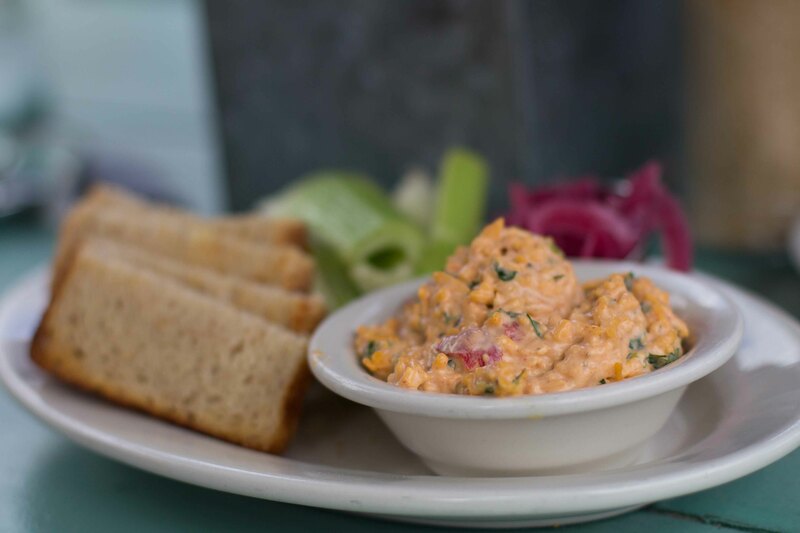 Yayyyy to pimento cheese, my most beloved discovery from the south. 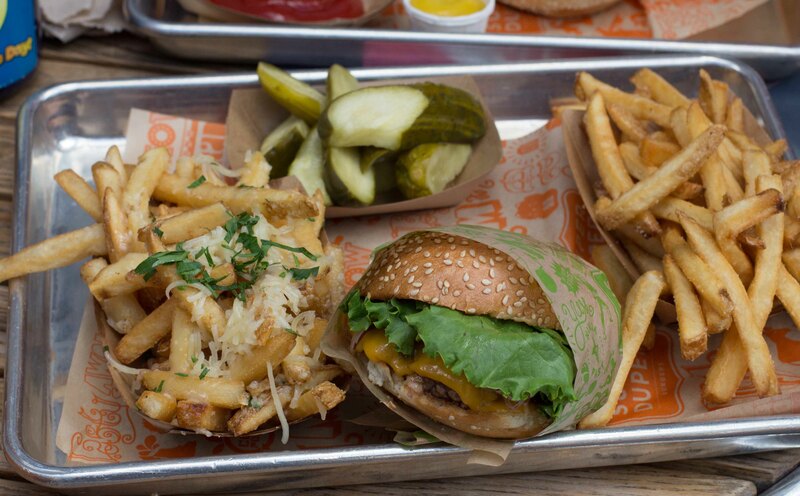 Our bellies were thoroughly stuffed and we decided we were able to make one more stop before checking into Sonoma. “A bit tired of wine”, we decided that the Carneros Brewing Company would be place to pull in. 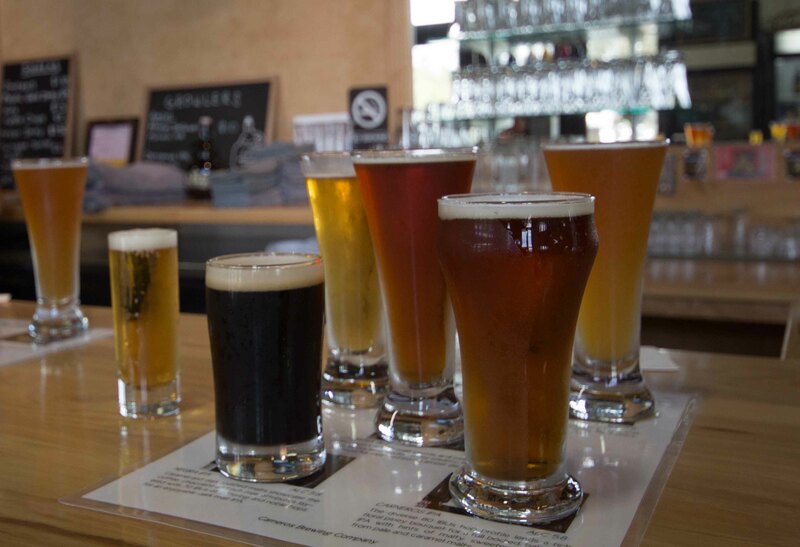 The generous beer sampler, featured their Pilser, Jefeweizen, IPA, Negra IPA and my favourite Morena Ale. It felt like we had done more in the morning than I had in the past 2 days combined, so we made our way to our hotel in Sonoma for our ritual afternoon siesta. I was excited for the evening’s adventure and wanted to rest up. All through our trip, we would sit outside in the glorious sun in the afternoon and watch as the sky’s light changed to evening and wondered where we could find a sunset. Being nestled in the Napa Valley on the first leg of our trip, we weren’t able to find somewhere spectacular nor did I have the energy to try because I was sick. 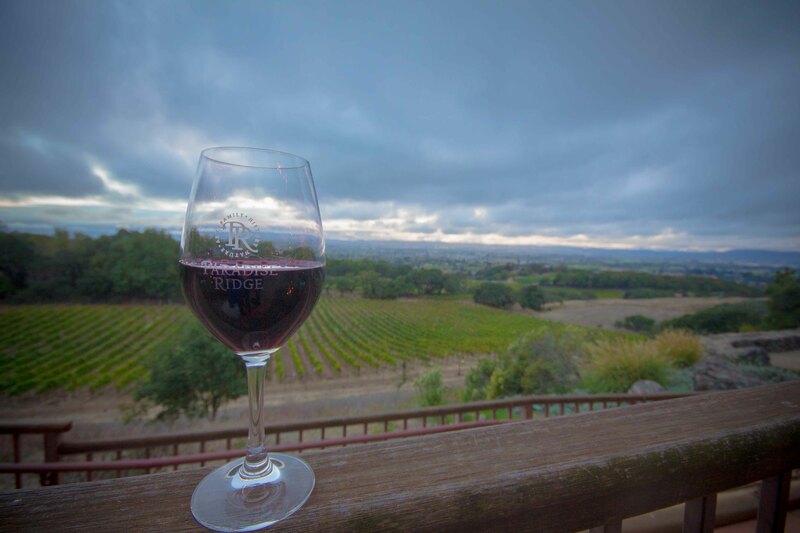 Thinking that Sonoma would give us more options, I did a quick search and found that Paradise Ridge Winery did a sunset picnic at their winery on Wednesday evenings and lucky for us, that’s exactly when we were going to be there. A sunset picnic when there’s no sunset, wasn’t really the plan, but it was still a great place to sip a glass of wine while watching the clouds roll overhead into darkness. 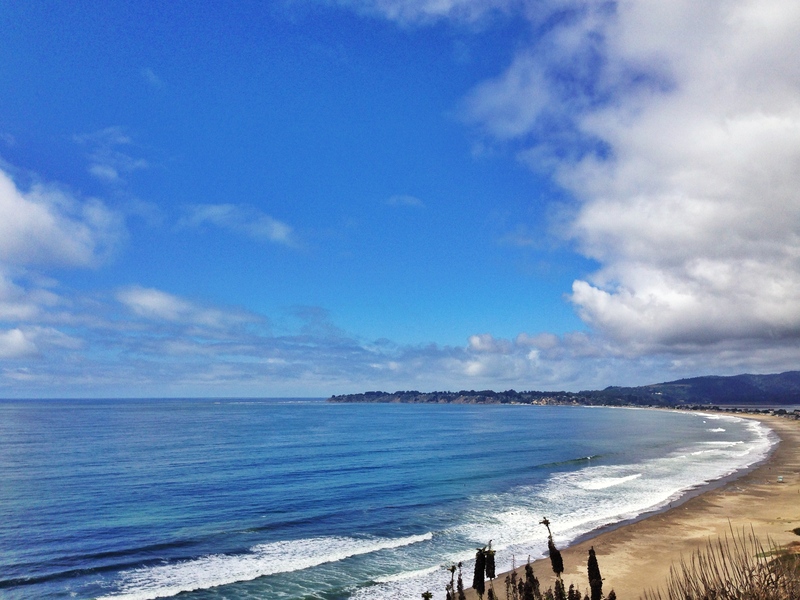 On our last day away, we decided to take the long route back to San Francisco via the coast. I was very excited when we decided to do this last moment, because it meant being able to stop for an eating adventure I’ve wanted to do for a while. 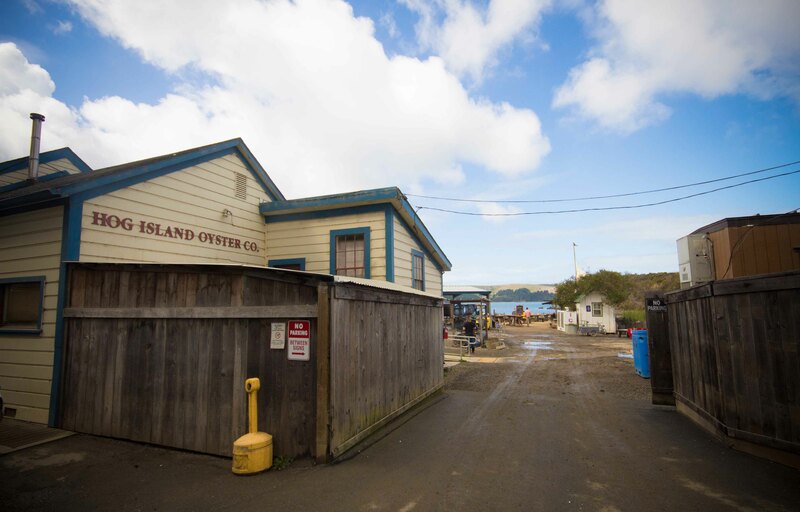 I am a big fan of Hog Island Oyster Co and wanted to visit both the San Francisco and their Napa locations on my trip, but neither worked out. When we decided to drive back along the coast, I knew immediately what we’d do. 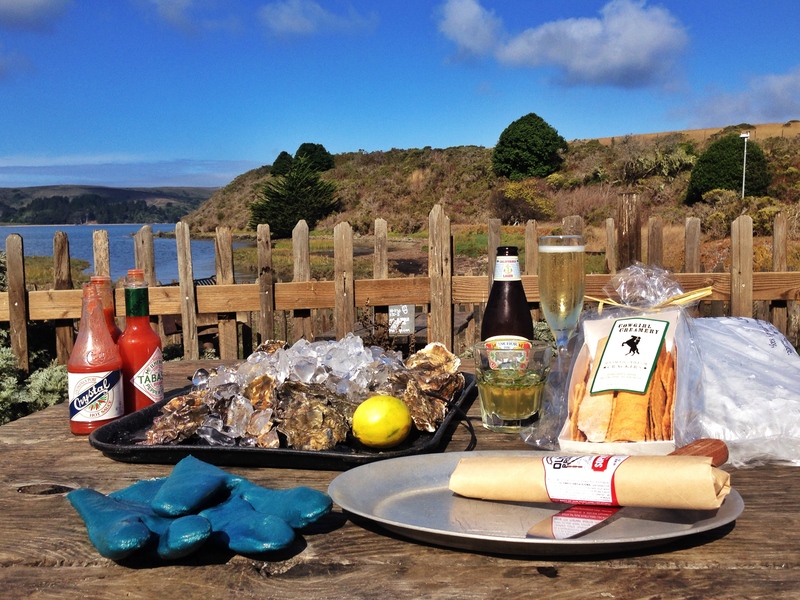 Hog Island Oyster Co has farms out in Tomales Bay, which was on our route back. 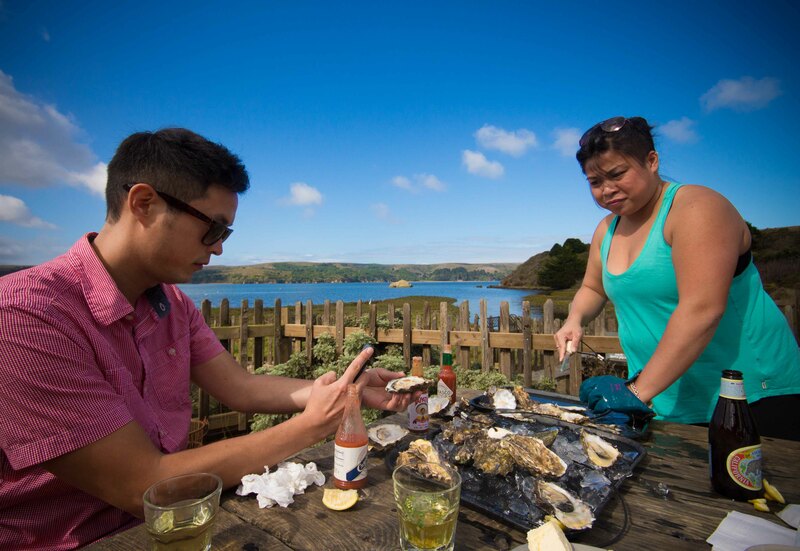 At the farm, you can buy oysters and take them out to their picnic area. 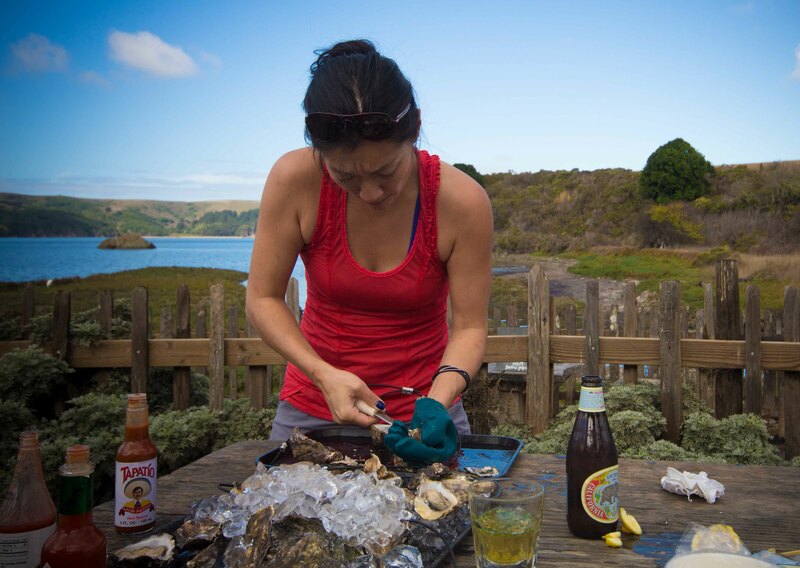 They also lend you the tools, and give you a shucking lesson, which we needed. To top it off, they also sell beer/wine, cheese, cured meats and crackers. We were set up to have a wonderful meal in a gorgeous setting. We were elbows deep in oysters with so many still to be shucked and eaten. Helena decided that since she liked oysters the least she’d shuck while Manabu and I ate. No arguments from either of us on this. 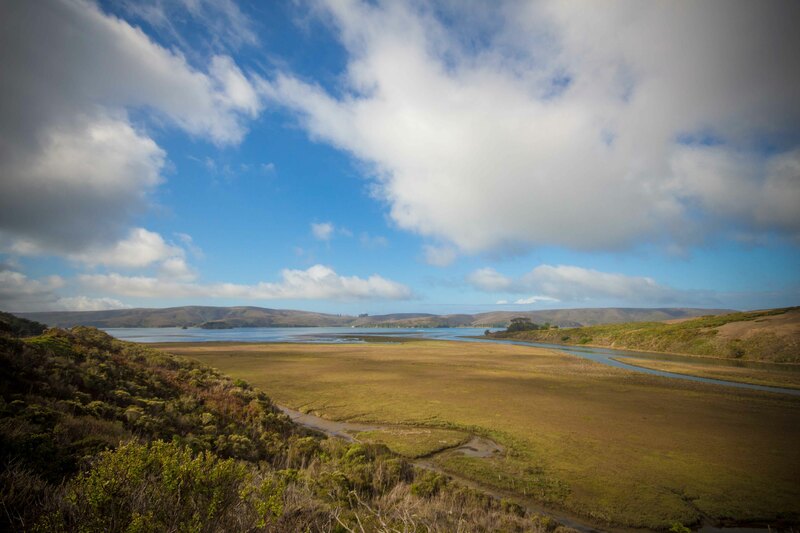 Adventure completed, we made our way south along the coast stopping at scenic viewpoints along the way until we made our way back to San Francisco. We dropped the rental car off and wandered around before going to the airport. I was feeling exhausted and still sick. I felt like I needed a vacation to recover from my vacation. My body also felt like it needed some TLC and some salad days ahead to recover from my overindulgence from the week. I pondered these thoughts as I decided there was time for one last meal before I got on a plane home.